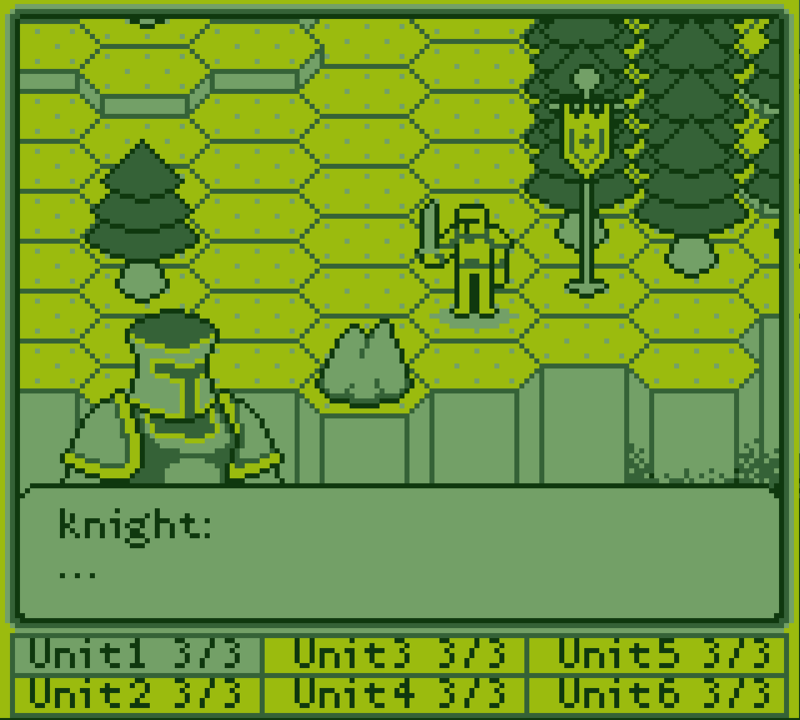 So I have been working on a tactical RPG for about a month off and on. I feel like its finally in a place where I can talk about it. It is a "micro RPG" I don't intend for this to be huge as I am the only one working on it and I would like to finish at some point. The goal right now is 1 prototype level that is fully functional and then expand to maybe 7-11 levels depending on how I am feeling. Currently there are no items, no anything. It is all based around class and what weapon that class uses as well as what level they are. Its got one of those rock paper scissors type thing but a bit more complex as there are 4 weapon types. 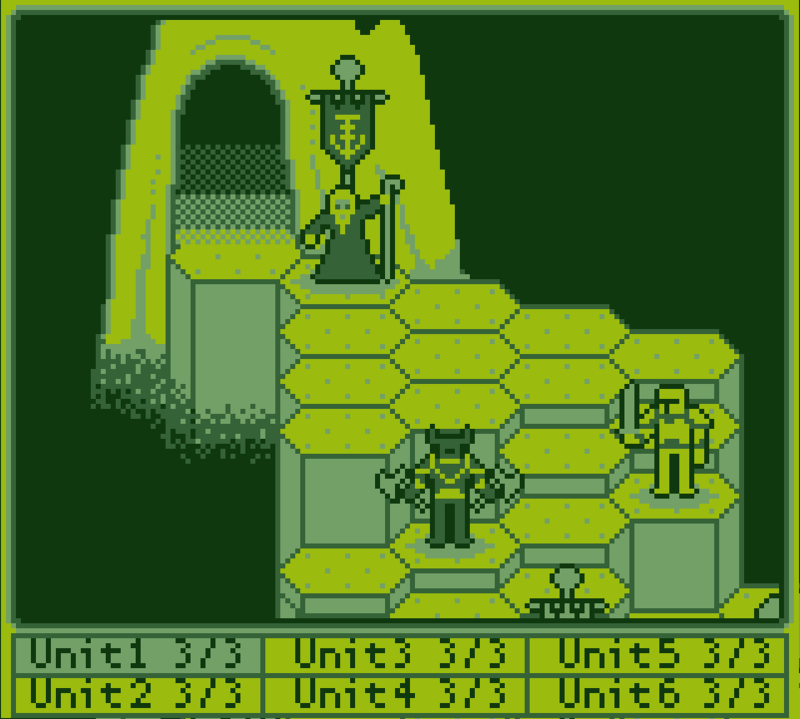 Combat is turn based and battles commence when two enemy units occupy the same square with the loser being bounced back a square. 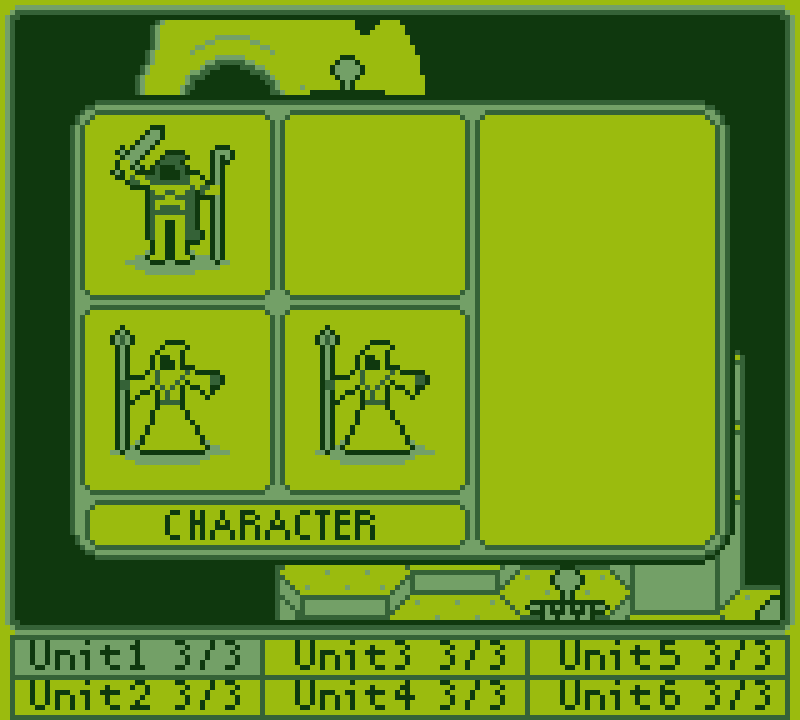 Each unit consists of 3 characters which each have their own stats. There is a front and back row and different types of attacks hit different rows until everyone in that row is dead and then it moves to the next. I will post a capture of the gameplay soon. Its very hard to understand the game without seeing it. Here is some recent gameplay. Right now I am trying to get everything perfect with one good unit and one bad and then the rest of the programing is mostly copy paste with minor tweaking so after that development should fly. As I am doing this alone I wanted to go for a real simple art style and I grew up playing gameboy A LOT so I went for that kind of color scheme. Wow, very cool, love the battle stage set up, looks like you have put a massive amount of work into this so far. Wow ! It's impressive and really cool. It reminds me a lot of Shin Megami Tensei: Devil Survivor on Nintendo DS. It must represent a lot of work already. 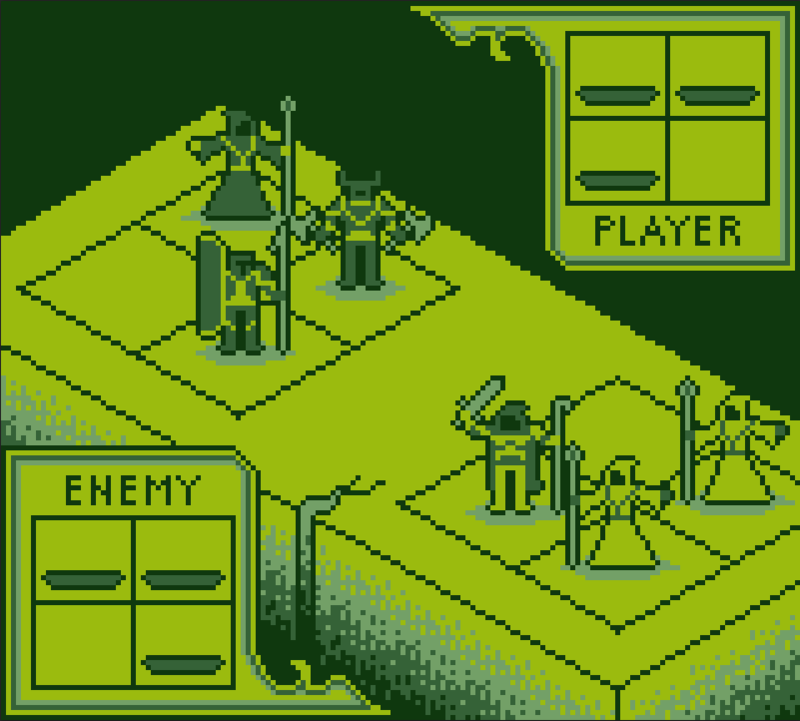 Got a second player unit up and running as well as implementing battle strategies. The strategies work like this: Attack Strong will tell units to hit the character with the most HP they can, Attack Weak hits the character with the lowest HP they can, and Attack Best hits the character they will do the most damage to. Some strongholds that replenish your health are on the map now too but they aren't demoed in this video. You should totally have the trees/houses/etc. dancing too. I would buy the game just for the animation! Design well organized. It's getting cool.